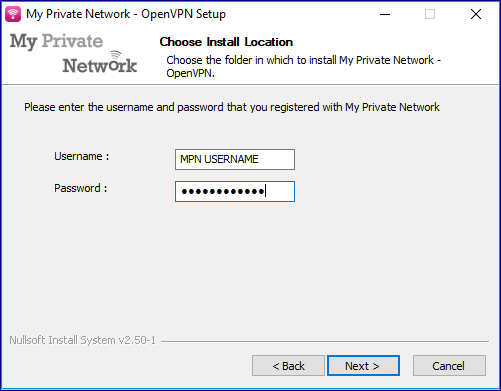 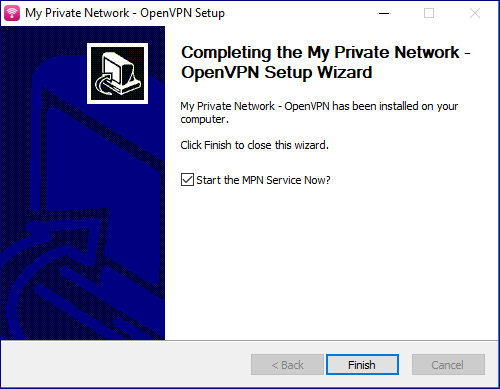 Setting up your Windows XP computer to connect to My Private Network’s VPN should take just a few minutes using our OpenVPN application. 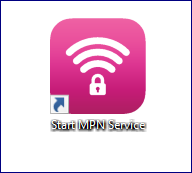 Our app connects to the VPN via the SSL protocol. 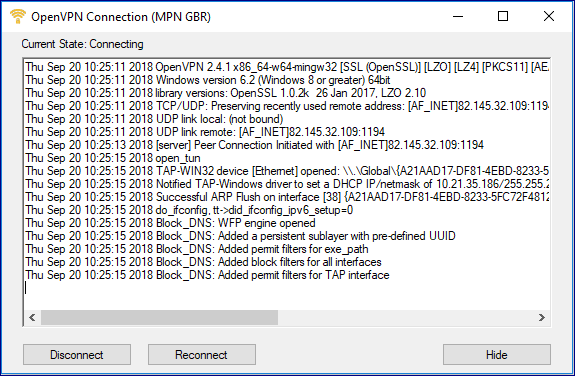 Please note that your Windows computer needs to be connected to the Internet and able to browse the web before moving on with the instructions below. 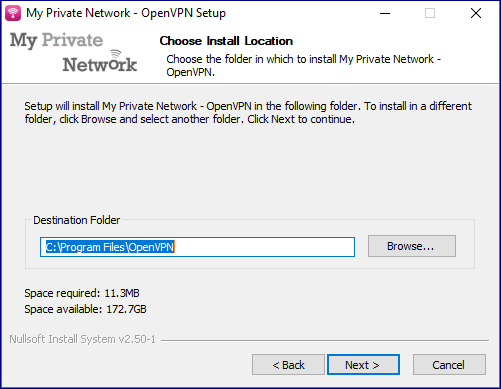 For Free Plan: If you wish to use our Free service, please select the Add Fre Connection to connect to the Free servers. 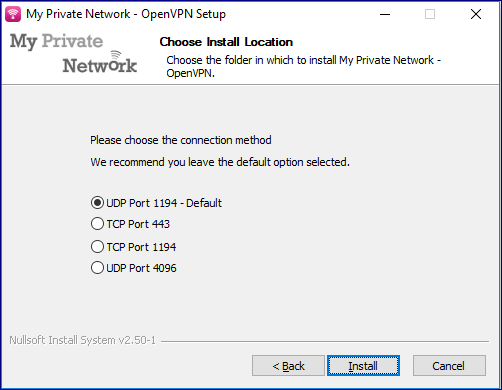 If you want, you can specify the directory where our software is installed, we recommend that you leave this as default and click on Next to install the software. 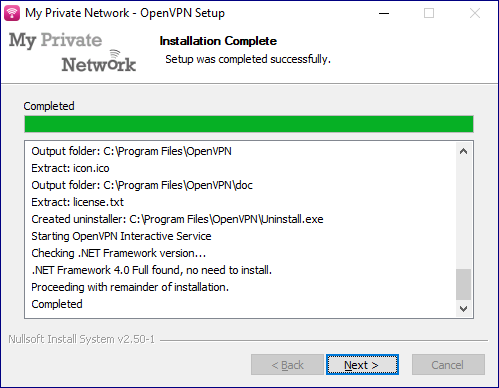 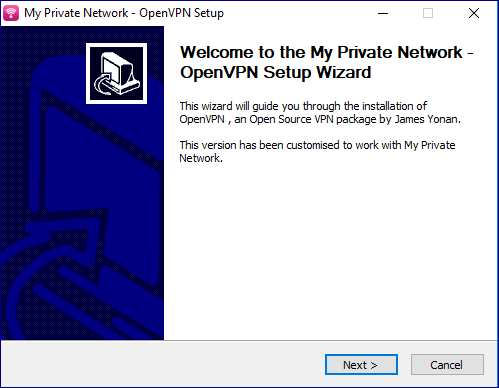 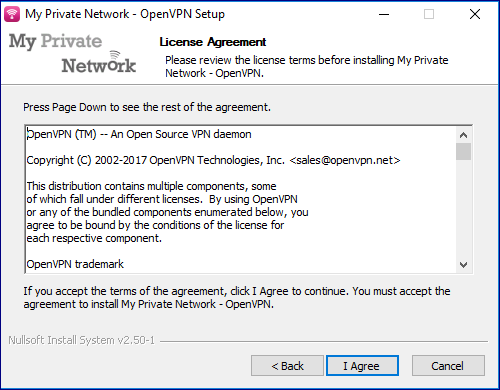 Windows will now install the OpenVPN software. 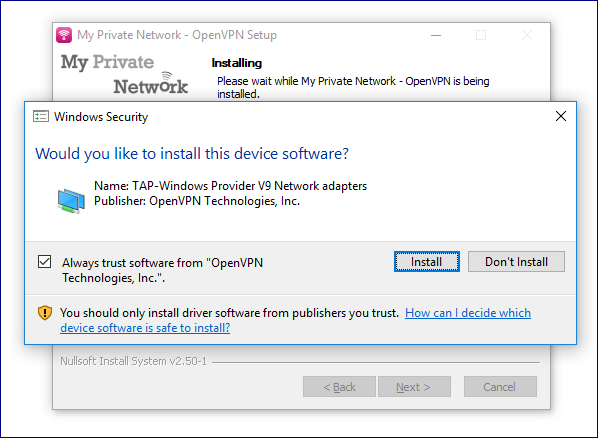 You will be prompted to install the TAP-Win32 Adapter, this bit of software is required to connect to us, so click on Continue Anyway / Install. 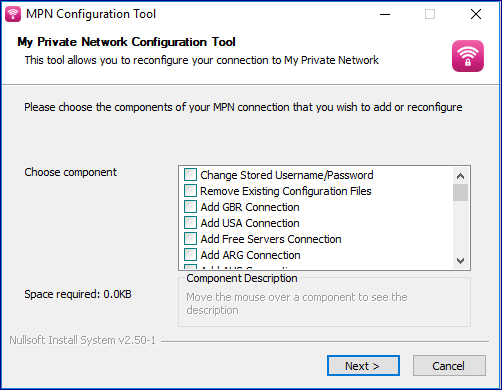 Select your preferred option and click on Next.